Keeping your skin’s moisture levels intact is important for management of eczema. 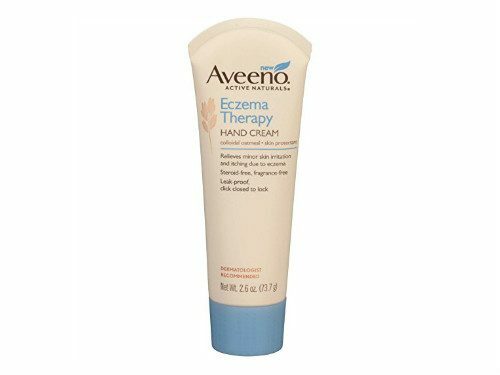 Developed with leading dermatologists, Aveeno’s eczema treatments are clinically shown to relieve the 4 symptoms of eczema – itch, the appearance of redness, dryness and irritation. It is also recommended by dermatologists and pediatricians for babies with eczema. But most important of all, it’s steroid-free, fragrance-free and it helps strengthen skin’s natural barrier and prevent the recurrence of annoyingly dry and itchy skin. The AVEENO® brand is most trusted for its use of natural ingredients. Oat is the natural ingredient most recommended by dermatologists. As a skin protectant active ingredient, oatmeal can help restore skin’s normal pH and aid in the maintenance of skin’s moisture barrier to help prevent and protect dry skin.